Pregnancy brings a lot of panic especially if it is your first time becoming a mother. But hearing that little thump!-thump!-thump! from the doctor’s doppler helped me to finally ease a little and enjoy the rest of this ride. I am still in doubt that I am pregnant despite the first ultrasound that I had during my pre-natal check-up. I can’t still believe that my tiny tummy is carrying a tiny human. I guess it did not sink in yet because I still don’t see the famous “bump” that every pregnant women talks about. At the end of my first trimester at exactly 12 weeks, we went again to my doctor for the usual 12 week-scan. My doctor asked me to lie on the bed so she could check if she can find the baby’s heartbeat. She pulled out her doppler and started doing her thing. Me and my partner were both anticipating this moment. Sadly, the doctor was not able to find it. She told us that the baby might be hiding or in a different position away from the doppler. I felt really bad and scared as panic hormone overtook my pregnant body. We went home and I started researching on why the doctor can’t find my baby’s heartbeat, and I wished I did not do that. The more I searched on Google, the more I panicked. There is a rising number of pregnant women who would find out that there baby died inside their tummy without having symptoms whatsoever. Now, imagine my stress thinking the same thing is happening to me. Na-ka-ka-lo-ka! I could not wait for the next month to have my scan. A friend immediately recommended to me Lagro OBGYN and Ultrasound Clinic where they do all sorts of ultrasound. She advised me to just go and have a normal pelvic scan so I can stop stressing about my baby’s heartbeat. Without any hesitation, me and my partner went to the clinic during my 15 week pregnancy to have a normal second trimester scan. This is it! I need to know if my baby is okay….and If I am really pregnant. Yes, yes, I know it is stupid for me to still think that I am not. I gaze on the monitor as soon as the sonologist placed her ultrasound thingy on my belly and I just smiled. My baby is so big and alive! And I am still pregnant! Whew! The sonologist told me everything I needed to know about my second trimester scan and she printed out a photo of my smiling baby! 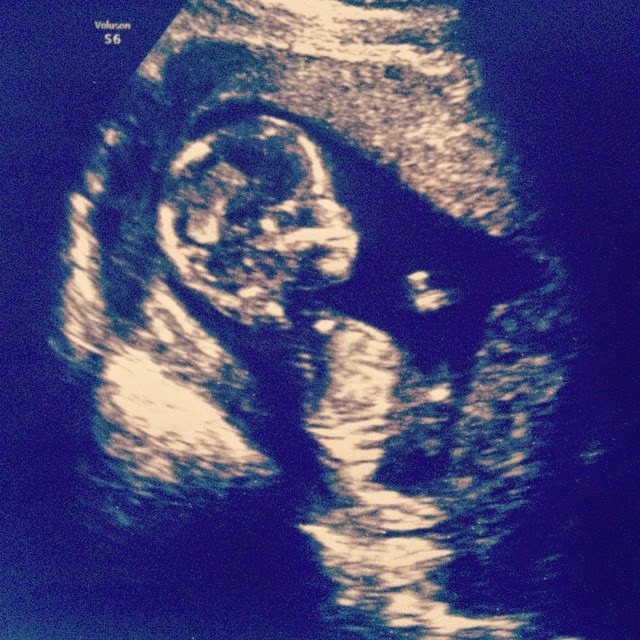 The sonologists advised us to go see my doctor the soonest so she can discuss to me the result of the scan. Me and my partner then decided to switch to another doctor that his family doctor recommended and hospital (from FEU to Commonwealth Hospital and Medical Center). We went to meet with our new OB-GYN who we now wanted to settle for this entire pregnancy. She is very accommodating and caring. She reviewed all my previous scans and laboratory results and then she told me that we can already check if we can hear the baby’s heartbeat via doppler. Yay! So I lay on the bed and kept quite as she placed the doppler on my tummy. Alas! There is it! My baby’s heartbeat says Thump!-Thump!-Thump! Me and my partner smiled at each other as the doctor let us hear more of its heartbeat. I caressed my tummy and told my baby that I am happy that he/she is okay and I can’t wait to finally meet him/her. Seeing the ultrasound and hearing its heartbeat brings out so much joy and love out of me, how much more when I finally get to hold m baby?